Badgers have poor eyesight, but they compensate for this by their good hearing and exceptionally acute sense of smell, which is 700 - 800 times keener than that of a human! Smell is used to seek out food and to detect other animals, man, or any kind of a threat. The whiskers near their noses and eyes are also used to detect food. Badgers will eat most things! In the wild, their favourite food is earthworms which make up the greater part of their diet, but they will also eat beetles and insects, eggs, grubs (even from wasps' nests), elderberries, brambles and fallen fruit. Evidence of this can be seen in their latrines. They forage in gardens and rubbish bins, taking whatever thrown-out food they can find and strewing the contents of the bins widely. 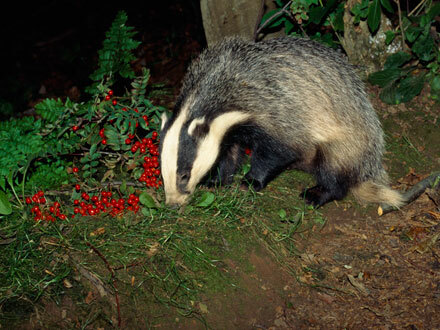 House owners who have badgers visiting their premises regularly have reported how they will eat a wide range of food: dog biscuits, nuts, sandwiches (especially with peanut butter), pizza, cake and so on. 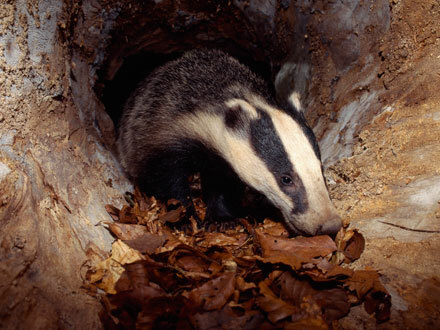 In the summer months, badgers forage at the extremes of their territories, thus saving the nearer areas for searching in the colder months. 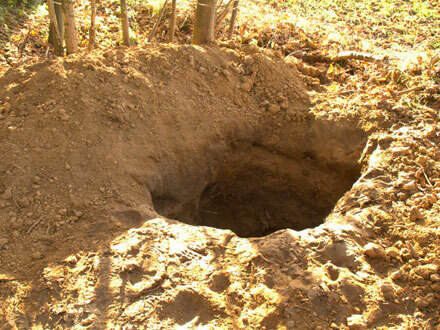 The ideal conditions for a badger sett are easy-to-dig sandy soil, preferably on a gentle slope, under trees and with a source of water nearby. However, they may just decide to build in a flat open field or even on a river bank. A well-established sett may have up to 12 entrances, with a whole maze of passages and chambers underground. The chambers, which are lined with regularly-changed straw or hay, are used for sleeping and giving birth to cubs. Badgers have no natural enemies except man, but what an enemy! They are harmed indirectly, directly by "official" means and directly by criminals. Sett Interference - What can I do? 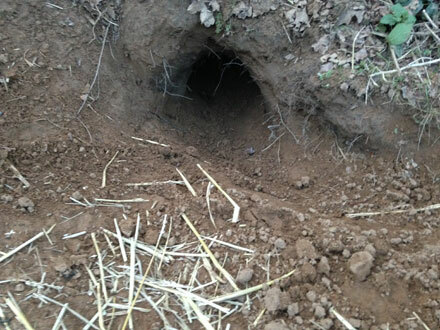 If you know or suspect that digging is happening at a badger sett, inform the Police and your local Badger Group IMMEDIATELY. If digging is actually in progress or about to happen, phone 999. Be clear and precise about the location of the sett and give as much information as you can : number of people involved, are spades or guns being carried? are dogs present? Note types and registrations of vehicles (often 4 x 4s) and if possible, take a photo. Vehicles may be known to the police from previous events. Early Sunday morning is a favourite time for baiters and diggers to start their work. They communicate by social media to plan which sett they intend to attack next, and seem to work a circuit, hitting one sett then another. 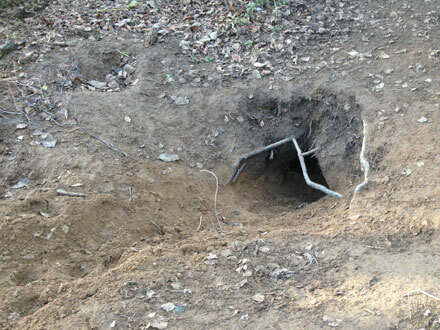 They never take ALL the badgers from one sett – taking three is frowned upon. After all, they need to leave some alive to provide "sport" for future years. Remember that badgers are protected by the Protection of Badgers Act 1992 and it is a criminal offence to interfere with a badger or its sett. DIGGERS AND BAITERS ARE DANGEROUS!